BISHNU July and August summer fair news. BISHNU 7, August will hold a summer fair! Think of each is lovingly, prepared Thanksgiving dinner menu. Toro-children's set menu and cheese! Children's most popular cheese naan! Limited time offer! Cheese naan was a set! Survive the summer in spices and vegetables! Normal price from 20% off deals set! Using vitamin C bitter gourd Curry. Affordable set offers two types of curry! Take this opportunity to take a look at. Affordable set offers the popular cheese naan! To the things you want to eat more! 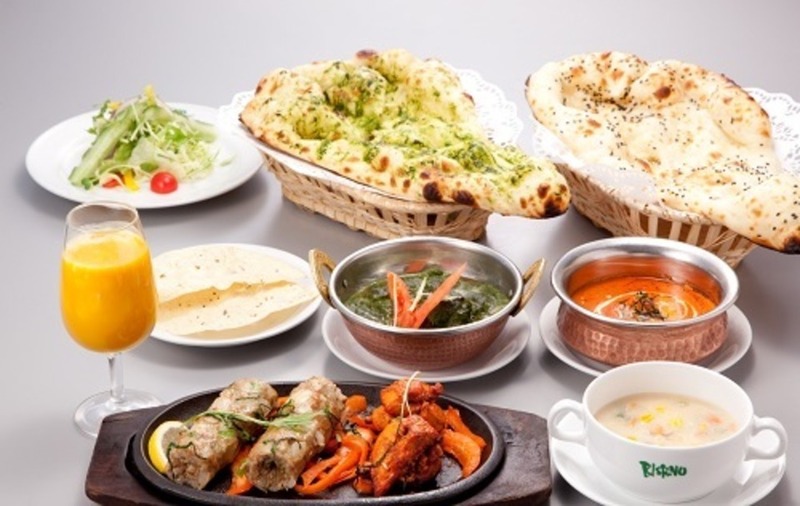 Curry and naan bread, please choose from the menu. In addition to curry and naan bread, please choose! Nan nutrition out of favor with summer vegetables and soup with curry set! Summer vegetables beta-carotene, vitamin C, vitamin E is plenty! 1. Vegetables with Natsu vicenset!! Shish two-piece with slowly roasted on the charcoal. With easy-to-eat bite-sized snack with beer! Vegetables and tuna-cheese Curry now! Easy delicious ♪ it is recommended! We pass the Lassie tickets to your customers. We service Lassie three friends come with me next time! SONA restaurant is the buffet shop ♪ has become for many customers know taste of Vice ne all-you-can-eat service price. 2. Okra and eggplant summer vegetable Curry set! Based on tomato summer vegetable Curry got Eggplant and okra! Curry Curry become more delicious seasonal delicious summer vegetables and eat together. There is a lunch special!